Acne is a common, shared problem for many people. Some are more prone to producing more androgens, which enlarge the skin’s oil glands. The long-term skin condition can persist from childhood to late adulthood and occur in different parts of the body. Chemicals that are regulated and safe for the skin are used to treat acne. For those who prefer natural remedies or medicine that comes from nature have a wealth of options. Staple ingredients such as argan oil and aloe vera have much to offer on the skin as well. Honey and cinnamon are delicious, healthy food on their own. They can be consumed or treated as skin food. Together, they’re an effective mask for killing acne-causing bacteria, suppress oil, Staphylococcus, and Candida albicans microbes, and shrink pores. Witch hazel, also known as winterbloom, is found in North America. Its bark, leaves, and twigs have gallate esters, polyphenols, and tannins, which reduce inflammation and swelling, and promotes healing. These properties are extracted to make concentrated witch hazel extract or hamamelis water. These extracts can be applied directly on the skin or ingested to cure symptoms of illnesses. The flu, colds, diarrhea, and vomiting can be reduced with witch hazel. Applied topically, witch hazel astringent removes excess oil from skin while calming down redness and swelling around acne-prone areas. Zinc is a chemical element people regularly ingest through whole grains, milk, red meat, and nuts. When ingested, zinc helps fight infection, aids in smelling and tasting, and helps heal wounds. For skincare purposes, zinc helps treat inflammatory skin conditions such as acne, rosacea, and eczema. Its anti-inflammatory properties may also reduce acne scars and the resulting redness and irritation. Famous for its multiple purposes, tea tree oil is a natural antiseptic and skin treatment option for oily, acne-prone skin. 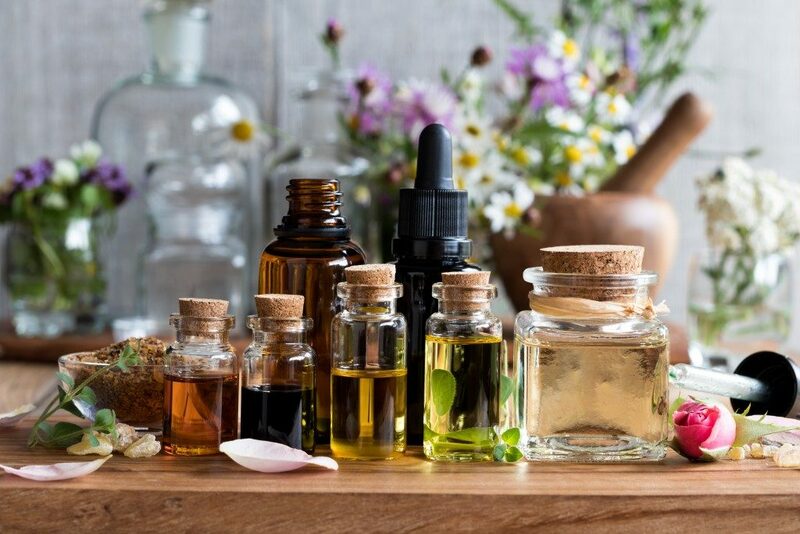 The essential oil has antimicrobial compounds, including terpenes that fight Propionibacterium acnes, a bacterium that lives on the skin and causes acne. Tea tree oil cannot be ingested, but it is effective at entering the pores to destroy Propionibacterium acnes inside hair follicles. The oil will also help clear sebum from sebaceous glands deep down the skin. It does all of this without clogging up the pores; it also moisturizes the skin. Argan oil shampoo is not the only forms in which “liquid gold,” as the substance is known, can be bought. The cult favorite of beauty gurus, argan oil is the right balance of heaviness and lightness and packs enough nutrition to solve several skin problems at once, including acne. Vitamin E in argan oil helps balance sebum levels to reduce the face’s oil production. Less oil means fewer chances of breakouts. Anti-oxidants in argan oil also naturally fade scars and help reduce irritation from eczema. Unlike heavy oils, this “liquid gold” is not highly comedogenic and is less likely to worsen your face’s oil problems. If one solution doesn’t work, it’s time to consider other solutions on this list. Oftentimes, these substances may have a positive effect on other parts of the body. Experiment with the best solution to get great results and healthy, moisturized skin.